Of how Esther, the cousin of Mordecai, was taken—due to her beauty—to the palace with dozens of other candidates for the position of queen. Of how she carefully hid her heritage, and by the grace of God, was chosen to take the place of Vashti. Of how, even when the king had not called her for some time, she went before him to petition the life of her people—the Jews. Of how she risked death because she trusted in her God… because trust was all she had. Yet, the story goes further still, for God answered the cries of His people; He saw their fasting and tears. God answered them. He used Esther’s trust in Him to turn the plans of Haman to naught… to soften the king’s heart and enact a counter-edict. One where God’s people could not only defend themselves against the first edict but come to possess the wealth of those who would try to attack them. 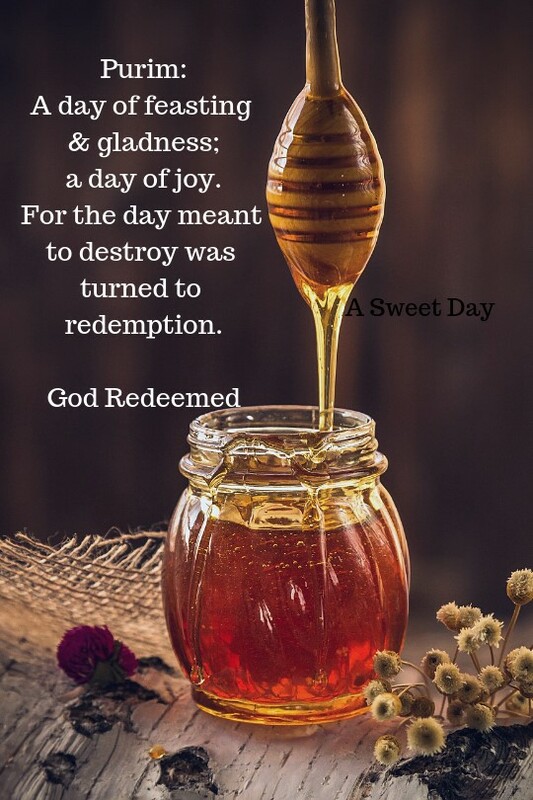 Given the awesome power of God in this event—saving the lives of Esther and His people, while even bringing greater prosperity to them—God gave the sweetest act of mercy. 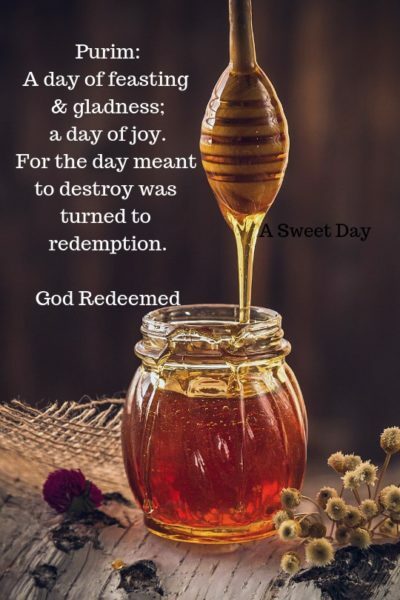 One which Mordecai and Esther would ordain to the Jews of Persia as an act worthy of celebration; to be celebrated on the days God turned their lives from terror to joy. Traditions passed down through the generations to remember God’s goodness and mercy. To remind them of the sweetness of the holiday. Yet, in all these traditions of Purim, it is the remembering of God’s mercy with joy that is at the heart of it all. It is why Purim is celebrated with laughter. 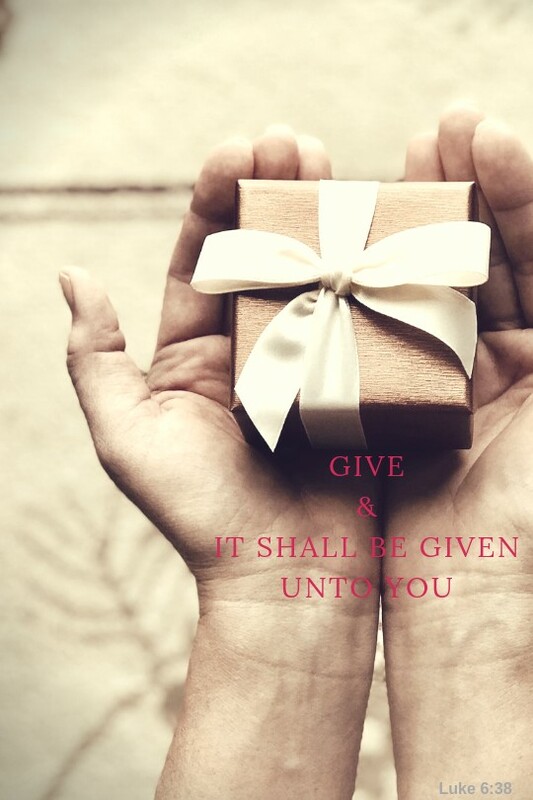 It is why people gladly give gifts to one another, and to the poor. By the giving of gifts to friends and the poor, joy and remembrance is brought to everyone. Purim is made brighter and the act of giving often sets in motion something inside of us… a greater generosity, a greater appreciation for life, for God, and for being kind. Purim is a day of joy and gladness. That is at the very heart of the holiday and how the story of Esther and God’s saving power has lived on with such strength. When we set aside this time to celebrate each year an aspect of God that speaks of His goodness, mercy, and power to save, it keeps it within our hearts all the more strongly all the year through. It continues to teach long after the food has been eaten or the gifts given. It brings us closer to one another, and to God. God desires us to fellowship with Him and remember His love and goodness, but He also values our spending time with one another in fellowship and kindness. 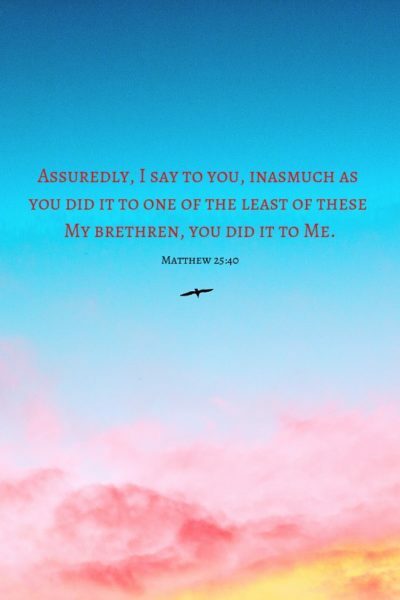 For, in doing unto others we are blessed in return and become stronger for it. Let us learn from Purim… remembering God’s goodness and mercy. Learning that the joy of the Lord is our strength—and that giving of that joy only makes our own joy stronger.